Within the limits of bandwidth and low frequency noise that are specified on the relevant CWT specification sheet. Calibration: Normally ±0.2% (traceable to UKAS) with the conductor central in the CWT loop. See the calibration certificate for more details. The CWT can be powered by both battery and an external DC voltage. 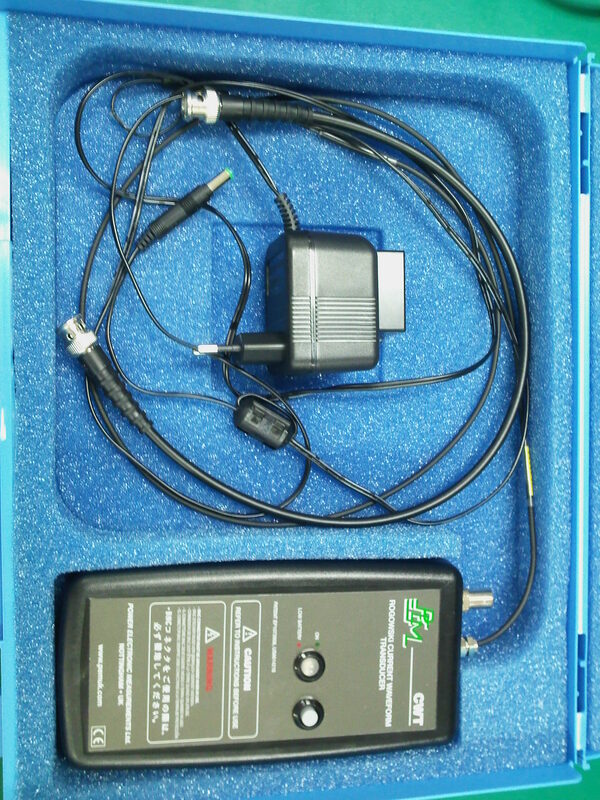 With the external DC supply present the batteries are inoperative. Battery life: 70 hrs typ. When specified with rechargeable batteries the CWT operates directly from the batteries when there is no DC supply present and is powered directly from the DC supply when present. With the DC supply present the rechargeable batteries are permanently trickle charged. Recharge time: 40 hrs typ.